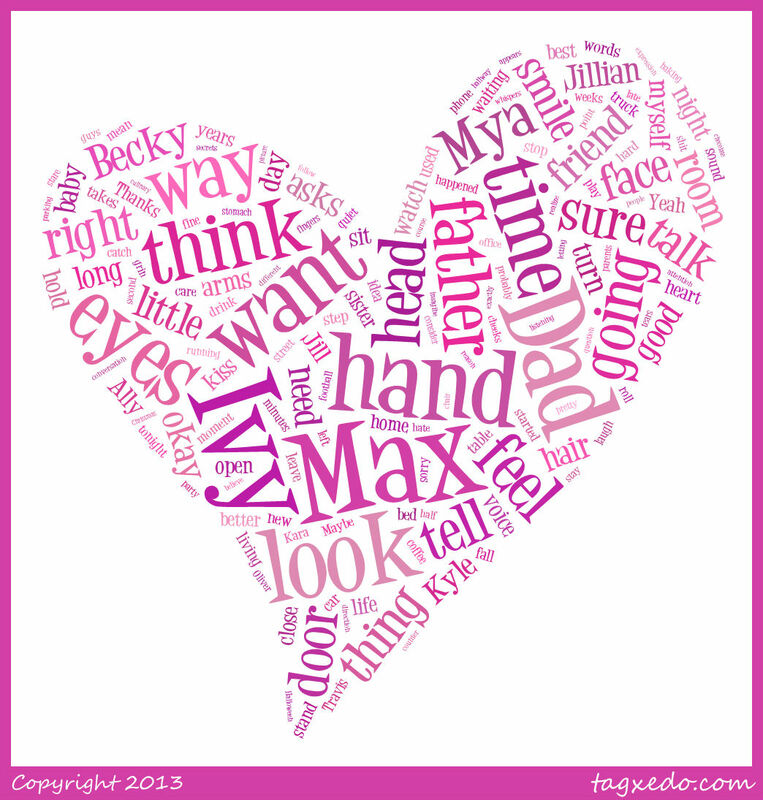 Have you used Tagxedo before? Love it! I’ve used Wordle before (for fun and to help me weed out overused words) but this is so much cooler. I agree! There are a lot more options for creativity with Tagxedo. Cute! I’ve also only used Wordle. I’ll have to keep this in mind! I LOVE how the heart turned out! Glad you enjoyed Tagxedo as much as I did 😀 And those word combos have me excited about your book!! That is very cool, I’ll definitely have to try it out. Congratulations on finishing your revision, I love the names of your characters. Also, I LOVE the heart and it just makes me want to read your story all over again. Can’t wait to see what happens with it! Alison, I would *love* to see a CM word cloud! You’ll have to email it to me when you make one. So, I made a CM word cloud and imagine that – three words were larger than any other. Can you guess? I’ll email it to you. 🙂 Also, they didn’t have a football. 😦 So, I went with a shark. Still love it though. I will definitely do another if I ever finish my revision. :S Thanks for pointing me to this! Aww… No football?! I kind of like the idea of a shark though. Such a random animal that has such a big impact on so many of CM’s characters. I can’t wait to see it! Becky is WAY too big on there. 😉 But I love how Max is all big and right in the middle! I want to do one of these. Maybe I’ll post it on Friday.